Hayleys PLC, recorded a strong all-round performance in the third quarter of 2018 (3Q18), as the Group turnover rose by 20% Year-on-Year( YoY) to Rs. 59.7 billion, resulting in a sharp 80% YoY increase in Group’s Earnings Before Interest, Tax, Depreciation and Amortisation ( EBITDA) to Rs. 9 billion for the quarter. The Group’s nine months performance was equally impressive with turnover reaching an enviable Rs.163 bn and the EBITDA reaching Rs 15.1 billion. The profit from operating activities of the Group was Rs.11.3 billion, which is a 68% YoY improvement. However, the net Finance Cost increased to Rs.7.7 billion from Rs. 3.9 attributing to the inclusion of Singer Group’s finance cost and the cost of funding recent acquisitions. The Profit before tax (PBT) of Rs.3.5 billion reflect a 19% improvement over the previous year while the PAT increased by 23% to Rs.1.9 bn. 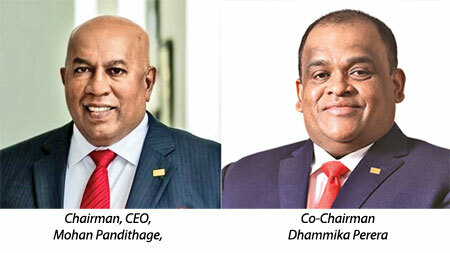 Due to consolidation of Singer (Sri Lanka) PLC ,the Group’s Retail sector, expanded revenue during the 9 months to December 31, 2018 to Rs. 52.4 billion, against a previous Rs. 19.9 billion while operating profit rose sharply from Rs. 966 million to Rs. 3.4 billion.